Coach MarkZ will lead this band of LCS all-stars to take the League of Legends Challenger scene by storm. Five NA LCS legends have joined forces on the new Echo Fox Challenger team. 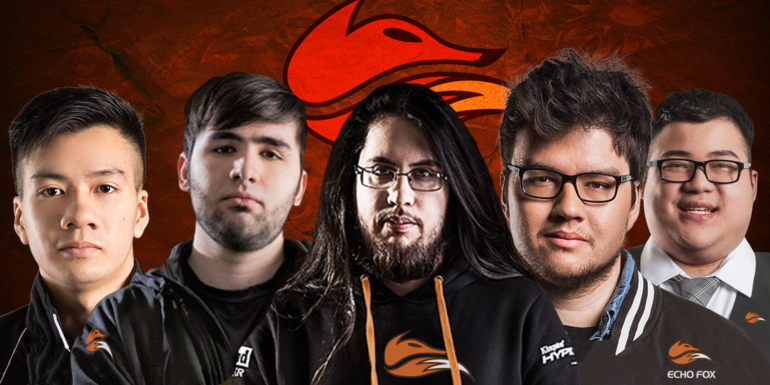 Michael “Imaqtpie” Santana, Marcus “Dyrus” Hill, William “scarra” Li, Danny “Shiphtur” Le, and Joedat “Voyboy” Esfahani are returning to competitive play. The team will be coached by fan-favorite LCS analyst Mark “MarkZ” Zimmerman. This squad of League of Legends royalty want to dominate the Challenger circuit, and they want to “have more fun” than any other pro team while they do it. Each of the players has had a long career playing or coaching in the NA LCS, but they’re known for something else nowadays: They’re all now wildly successful streamers. They have some of the largest Twitch fanbases in the entire League community, and a combined social reach of almost eight million fans across the streaming platform and all social media sites. Echo Fox is clearly aiming to both field a competitive roster—and to entertain the huge and highly engaged fanbases of the players. It doesn’t take much to see that this will be unlike anything fans of pro League have seen. Former Dignitas star Scarra is the cohost of two separate League talk shows, one with Imaqtpie and the other with MarkZ. Imaqtpie, Voyboy, and Dyrus are some of League’s most viewed streamers. Imaqtpie, who retired from Team Dignitas in October 2014, brings in at least $2 million a year through his Twitch channel alone, and Voyboy and Dyrus are so popular that Blizzard Entertainment recently brought them in to promote Heroes of the Storm in a charity event. Shiphtur’s streaming career hasn’t been too shabby either, and MarkZ has become a popular analyst on the desk during Riot’s broadcasts of the NA LCS. It’s not clear what this means for the careers of the five players. But given their immense fan bases and Echo Fox’s drive to put the players first, it’s unlikely that we’ll have to say goodbye to their Twitch channels. They may stream less often, but it’d be a surprise if any of them were to stop streaming altogether. They will begin competing in the Challenger circuit later this month—so get ready for one hell of a show.